It is raining today, so I took the Miata to work, because it has all-season tires on it. 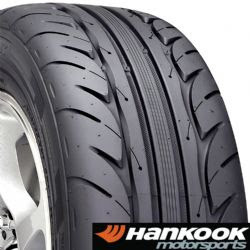 S2000 has well-worn Hankook RS2s on it, and as you can see in the picture, they do not offer much drainage at all, even when they aren't almost down to the wear bars, like mine. In cold weather, the Miata's old battery decided to stop holding charge, so I used the Honda to jump-start the car, and had it idle for 15 minutes while I was loading up the autocross wheels for the S2K into it. 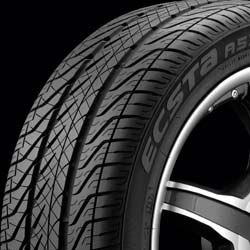 The reason for this is that I ordered some all-seasons for the Honda, a set of brand-spanking new Kumho Ecsta ASX, as seen below, from TireRack. Next week, when they arrive at Hubcap Heaven, they will go onto the shiny street wheels that the Honda is wearing. And the RS2s will go onto the autocross wheels, so I can burn them up at the test and tune in February and not feel bad about it. T&Ts are usually at the Laurinburg airport, and the concrete there eats through tires like nothing. Would be a shame to use up a new set of autocross tires there. Speaking of autocross, there's another event at Carowinds this Sunday. I am pretty sure I will go, because honestly, I don't have anything better to do, definitely nothing better than hitting cones with my new car.